Call 1-800-875-9145 to speak with one of our fitness advisors with any questions you may have. How do we put a price on our kids overall wellnes and their future - Go to FitnessZone.com today to order the Cardio Kids Star Walker Junior 686 and let's give our kids the advantage they deserve. Kids Fit is based in South Carolina and is proud to have provided exercise equipment solutions for clients in the US and abroad. 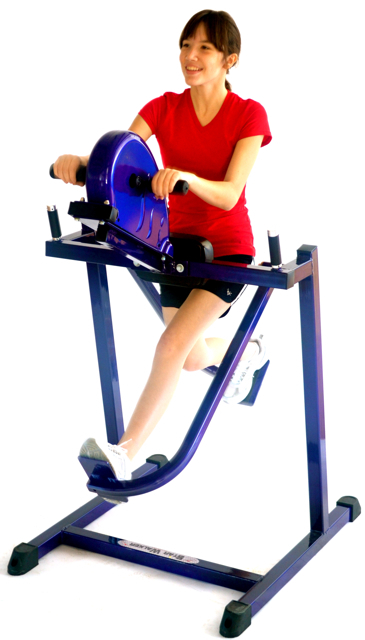 Kids Fit manufacturers fitness equipment specially designed for children of all ages, sizes, and physical condition. They provide solutions for our childhood obesity epidemic by creating exercise equipment especially for kids! Kids Fit offers smaller scaled exercise equipment in fun colors for the home. They’ve also participated in the set-up of hundreds of health clubs, physical therapy centers, and special needs facilities. They’ve also helped with after school programs, kid fitness gyms, day care facilities, and YMCAs. Kids Fit is a member of IYCA, IHRSA, PE4Life, YMCA, JCC, and Children’s Institute. Order your Cardio Kids Star Walker Junior 686 from FitnessZone.com today!